The way I understand Formula One and try to portray its technical intricacies isn't for everyone and I wouldn't expect it to be. The sport is a multi faceted one where human endevour has to be matched by technical prowess, this is why the drivers who take the victories on the podium are quick to thank their team, be it at the track or back at the factory. What does irk me though is when technical aspects of the sport are 'dumbed down', mis interpreted or worse of all incorrectly conveyed (whether it be from a lack of knowledge, ignorance or plain and simple mis information. The latest of these is the way in which ERS works and yes I know it's a complex system to talk about but if you're going to use it in commentary don't skew how it's used. IF the energy provided by the MGU-K were still to be provided by a button press on the drivers steering wheel (a paddle for some drivers) and they had the setting on their steering wheel turned upto maximum (120kw/160bhp) they could drain all 4mj of energy stored in the ES in 33.33 seconds. Therefore we can see that the time component of 33.33 seconds is simply an extrapolation of the maximum power (120kw) vs the available energy (4mj). Unfortunately this is where you are being misled as the time component for energy dispensed by the MGU-K is much larger than 33.33 seconds per lap (or should be). That's in part because the driver no longer presses a button on the wheel to release the energy from the batteries, but instead he will work with his engineers to map performance to the throttle pedal. This means that the full 120kw doesn't have to be dispensed all the time and can instead by graduated to match the performance of the engine, raising the kw's dispensed the more the throttle is applied. This of course makes it impossible for us to know the time component as it will be different for every driver, especially as, as with KERS before it the driver can select different maps to work alongside the engine map, reducing or increasing the amount of energy dispensed at a given rpm. On top of this we have the supplemental energy flow that can be provided by the MGU-H and fed directly to the MGU-K, skipping out the Energy Store and therefore extending the 4mj's lifespan. This means that if the MGU-K is requesting power it can be sent from either the MGU-H directly, if it's harvesting, from the ES or both! Lest we forget that energy passed directly between the two MGU's is also more efficient as it doesn't have the losses associated with transforming AC/DC or DC/AC. I understand that it's easy to be critical and that the speed that commentary must sometimes be supplied makes it difficult to convey everything, but this generalization of how the energy is 'spent' makes a mockery of what is actually going on under the skin of these cars. This bug bear is not a new one to me as it was much the same with KERS with it often talked about as giving a 6.67 second boost. This of course was accurate if were to extrapolate the maximum 60kw/80bhp of power that could have been used and the maximum 400kj's of energy that could be used per lap. However even this was variable for the driver, usually from a rotary on the steering wheel with the driver able to reduce how much was dispensed in order to increase the time component. I hope this post helps explain why I think it's important not to use the 33.33 seconds marker when explaining ERS. I'm sorry Matt, I have to disagree. The majority of commentators do not understand any of the basic parameters and interaction - period. They just regurgitate the briefing notes they get and mix it all together with absolutely no knowledge of force, torque, energy, power, gear ratios. I don;t think they have even understood yet that electrical and IC engine energy/power are the same. Great article and I totally agree with all of these points, this sort of dumbing down really frustrates me. I was just wondering whether the energy transferred to the MGU-K directly from the MGU-H is unlimited, from my reading of the regs there is no energy transfer limit; only the power output of 120kW from the K is capped. I think the critical things to remember are that the K can only harvest and store 2mj of energy but can use 4mj per lap at a maximum rate of 120kw. Meanwhile the H can harvest and deploy as much as it likes but will obviously look to store at least 2mj per lap to make up the K's deficiet. Transferring energy between the two MGU's is much more efficient due to the loss of energy (in heat) when the energy is converted and stored. This is where F1 has firmly got things right and should encourage further development here as the future of renewables (currently) hinges on changing the way we use power (ie not storing and converting it) as battery storage is still too inefficient. Interesting article Matt, and you're absolutely right. What shorthand would you suggest using instead, to communicate this in a short but understandable way? Hi Bradley and thanks for stopping by.. In terms of a shorthand explantation I'm not sure there can be one. It is an intrinsically difficult topic to convey, which is part of my issue. Saying that the drivers have 33.33 secs of energy per lap however is just a bare face lie. The problem for me though is there has been no real attempt by the broadcasters to explain the way ERS works in a pre show either. Whether that's because they don't understand it or because they feel their audience don't need to know it is another matter. The MGU-K releases power that corresponds with the drivers throttle inputs, utilizing the energy it and the MGU-H has harvested. This can be upto 160bhp at full throttle, utilizing upto 4mj of energy from the ES and supplemental energy from the MGU-H. 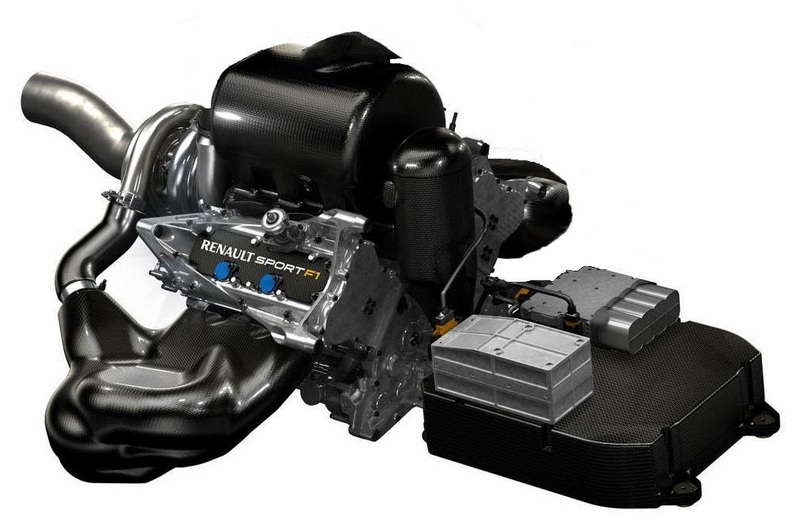 The MGU-H meanwhile can either be used to keep the Turbo spooled during cornering (driver off throttle) for an instant boost or slow the Turbo when it's spinning too fast, recovering energy that the MGU-K can use instantly or be stored for later use. Matt, great article. I don't understand how the K unit could request power at the same time as the H unit is harvesting. When would this situation occur? At the exit of a slow corner? Toward the top end of the rev range the H harvest energy to slow the turbine that could be over spinning (usually the wastegates job) it'll pass this energy directly to the K missing out the ES. The controller will decide what energy to proportion from the ES and direct from the H.
and pass it to the H to keep the turbo spooled for instantaneous power when the driver returns to the throttle. (this is all going through the controller and the K will be harvesting more energy than the H needs and so the rest is sent to the ES for use later.